First track shared from the coming album "The Other Gods"! International Space Rock/Prog Metal collective Space Mirrors was founded in 2002 by Russian multi-instrumentalist and producer Alisa Coral. Since that time Space Mirrors released four albums and featured many talented musicians from all over the world. Space Mirrors music is often inspired by Sci-Fi, alien conspiracies and esoteric topics." 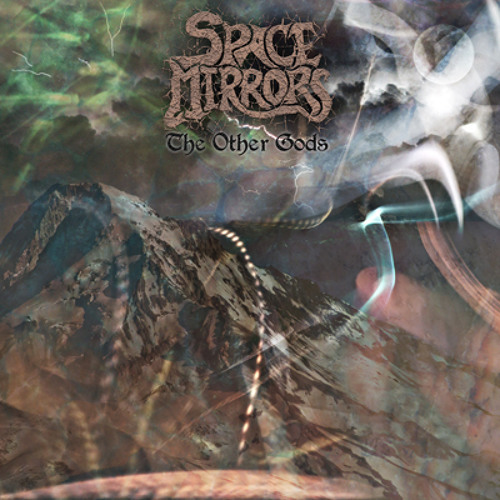 "The new Space Mirrors album "The Other Gods" is the second in the "Cosmic Horror" series (and fifth in discography) inspired by the stories of H.P. Lovecraft. It is a wonderful blend of dynamic space rock, prog metal and classic hard rock with influences not only from Hawkwind but also Blue Öyster Cult, Eloy and Black Sabbath! "The Other Gods" shows a further development in terms of sound and musicians' line-up with the recruitment of Claudio Tirincanti (Blaze Bayley, Tim "Ripper" Owens, etc.) to play all drums and Gabriel Monticello (Spaceseed, Albany Symphony Orchestra, etc.) to play bass on all songs. Sparky Simmons (Acid FM) recorded most of the guitars and Fabio Bartolini (Hate Profile) played guitars on one song. Martyr Lucifer delivered his best vocals’ performance to date. Bless (Hortus Animae) recorded some wonderful piano. Cyndee Lee Rule provided a violin string section and Dr. James Hodkinson (Shadowlight, Pre-Med) played mellotron and moog. The legendary Nik Turner (Hawkwind’s co-founder, Space Ritual, etc.) once more recorded sax and flute. Everything was done under the coordination of keyboardist Alisa Coral, the creator of Space Mirrors. Artwork and 12-page booklet were again created by Kevin Sommers. Space Mirrors again confirmed its international status by having in its ranks musicians from Italy, USA, UK and Russia! Alisa Coral about this record: "I think we have been able to successfully mix progressive space rock with classic hard rock in a modern suit here. We've got a very strong rhythm section with the same musicians playing on all the songs this time. Every musician gave it all to the recording and Martyr Lucifer really shows the great range of his voice. There is no programming and no triggered drums. Just old school real drumming, heavy riffs, hot leads, sax, flute, symphonic keyboards, spacey synth and vocals - all combined very nicely on this album.""